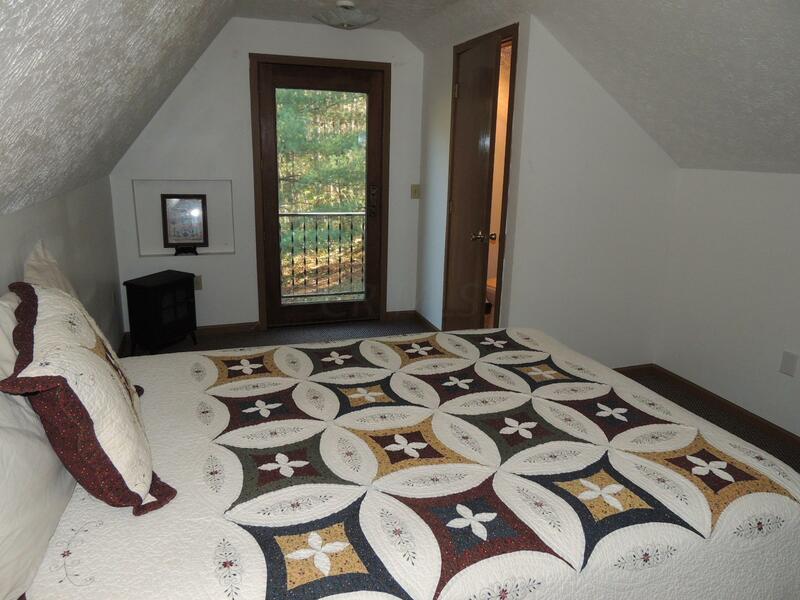 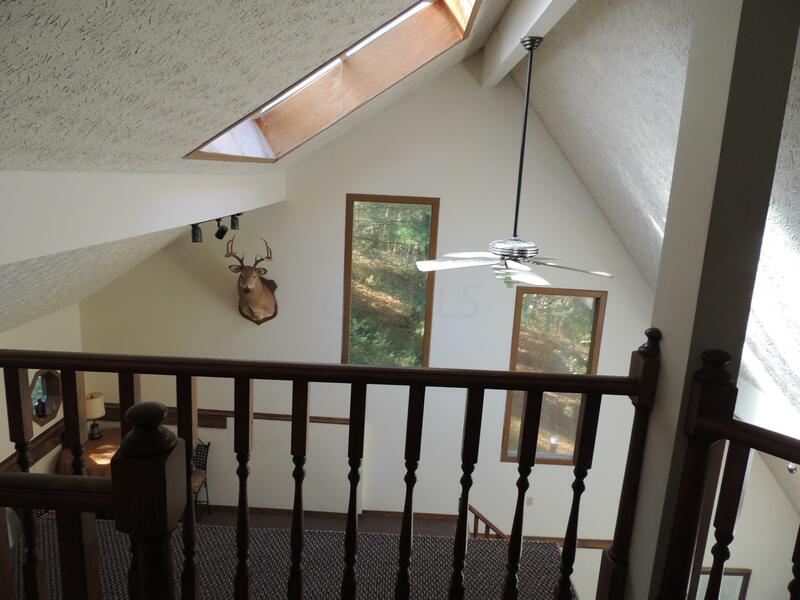 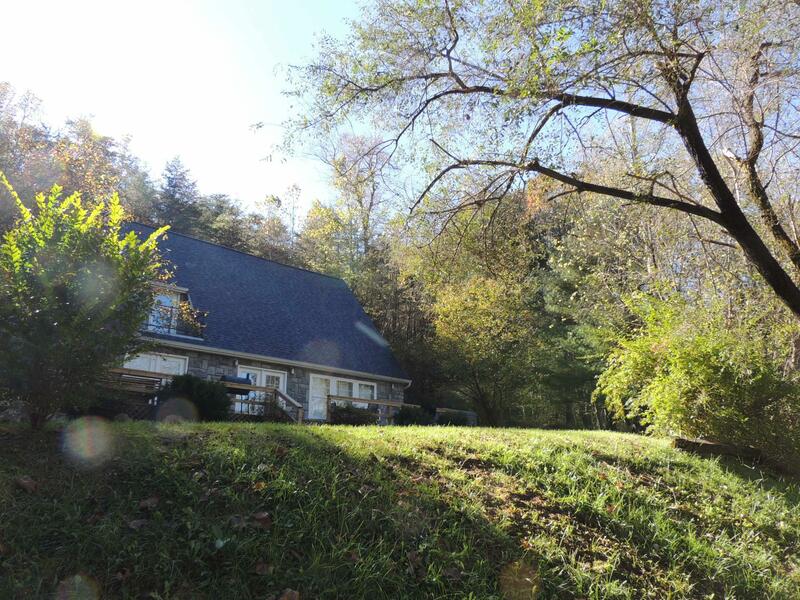 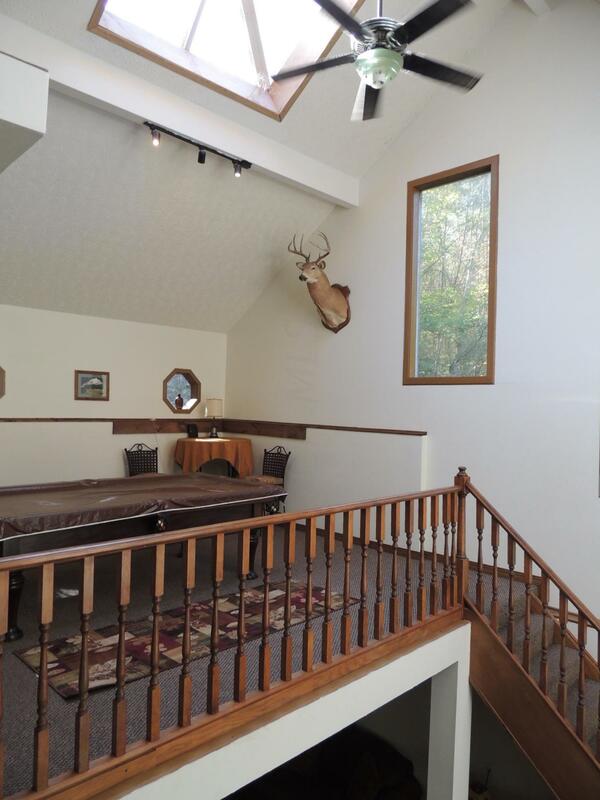 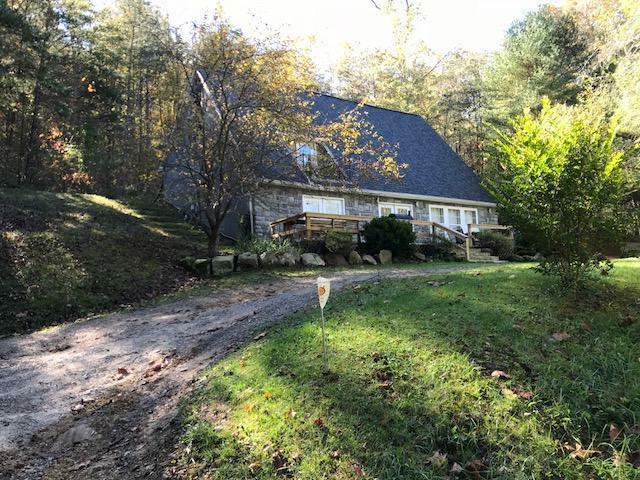 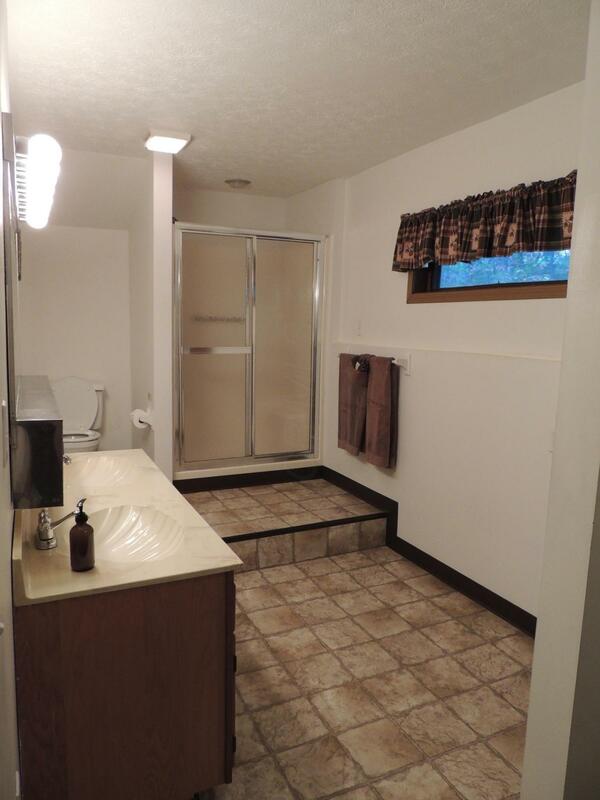 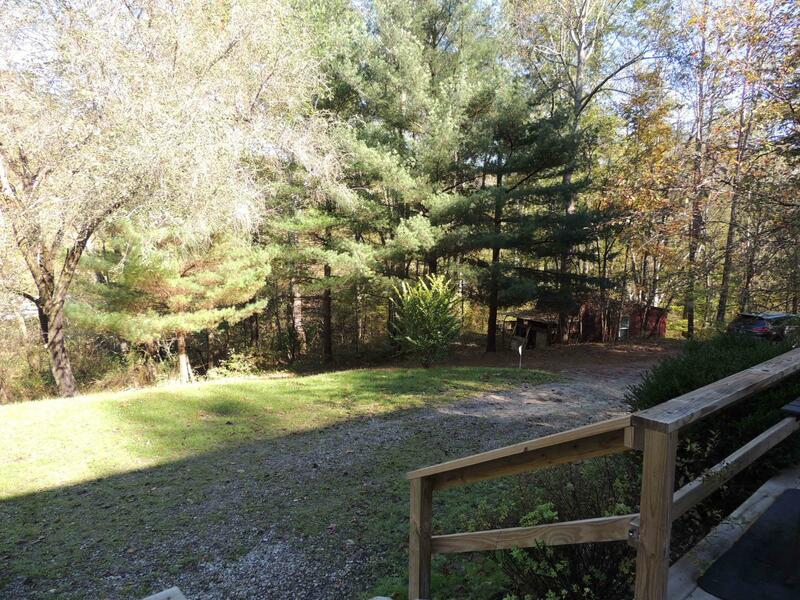 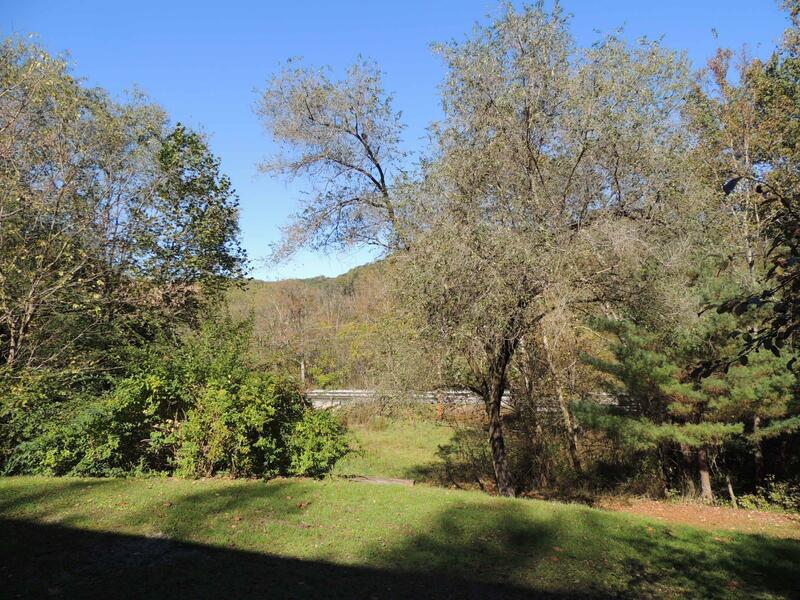 Your next home or vacation rental retreat is tucked in the woods on 6 acres just 1.5 mi off US 33 via an Ohio Scenic By Way leading through the Hocking Hills region. 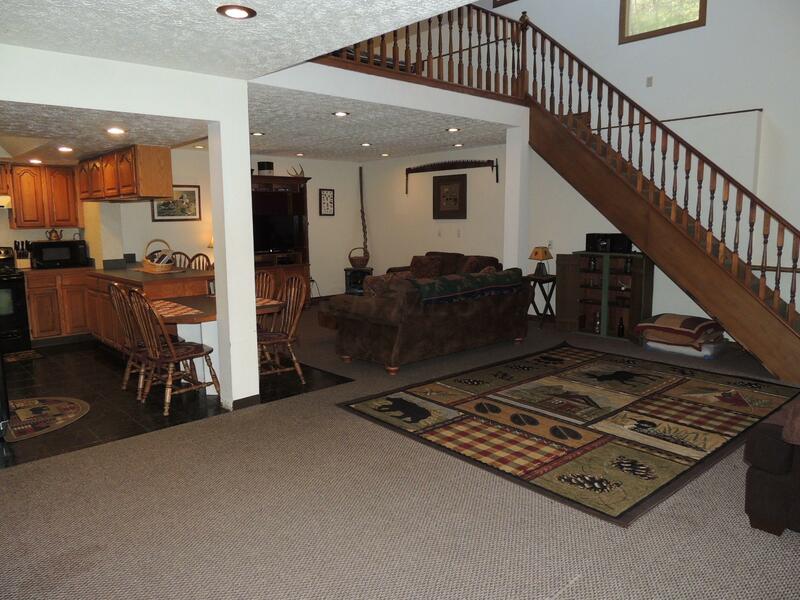 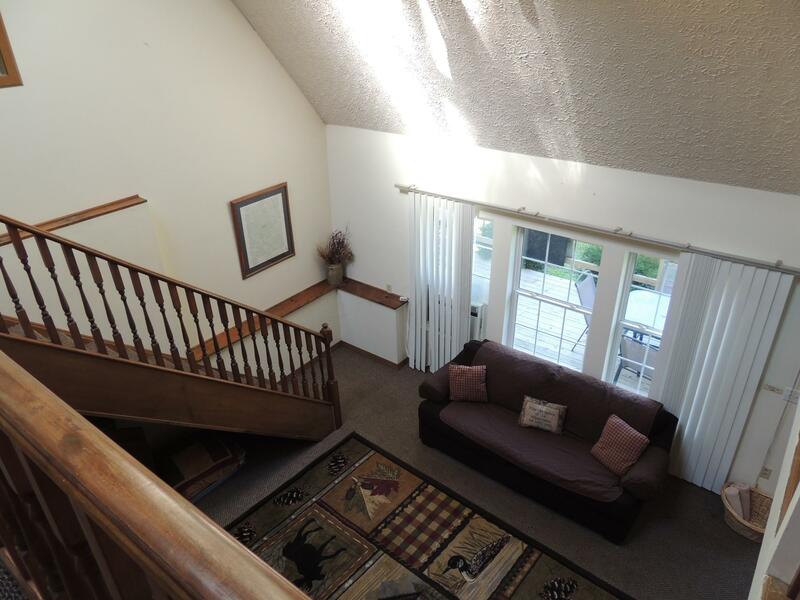 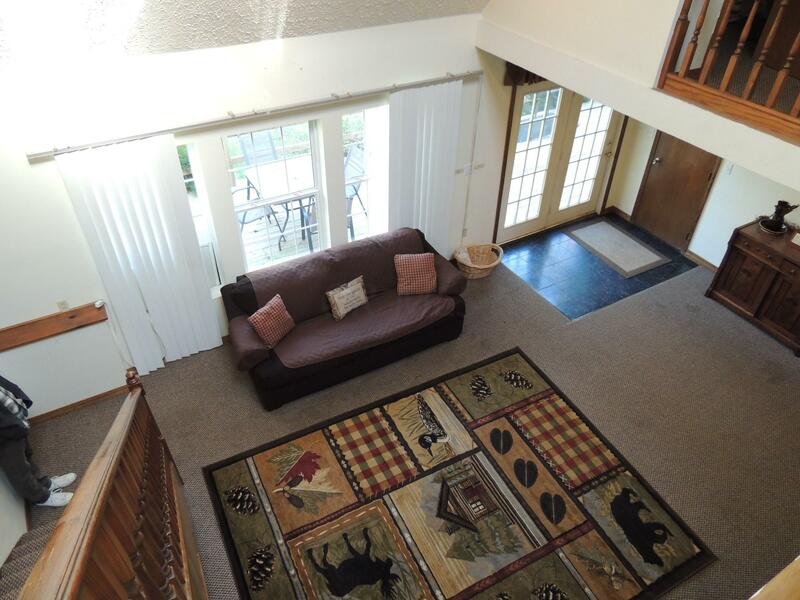 Over 2400 SF of living area provides ample privacy for family and guests with 3 BR, 2 1/2 BA, open kitchen/ gathering rooms. 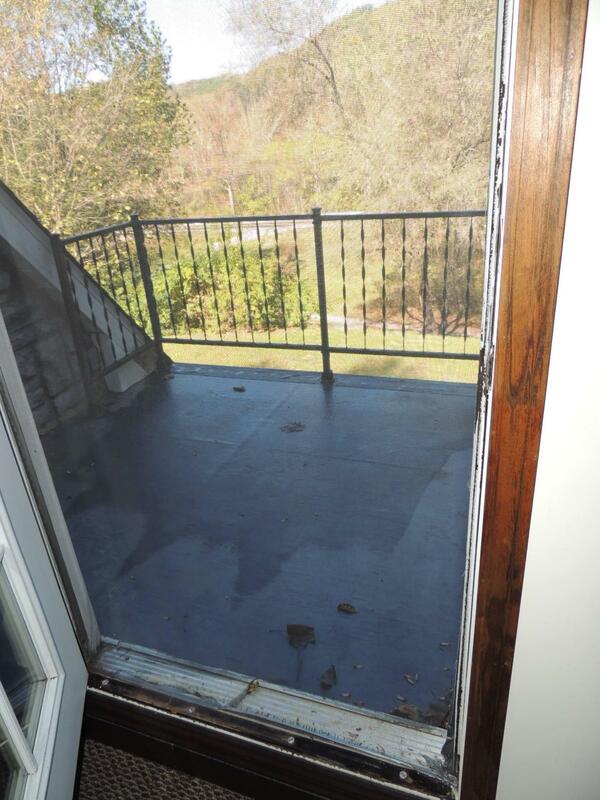 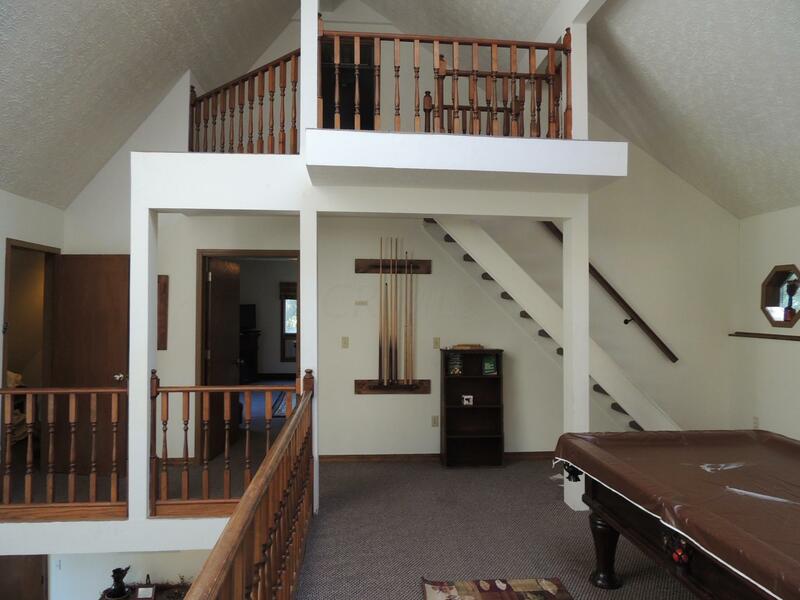 A balcony loft offers more indoor recreation space. 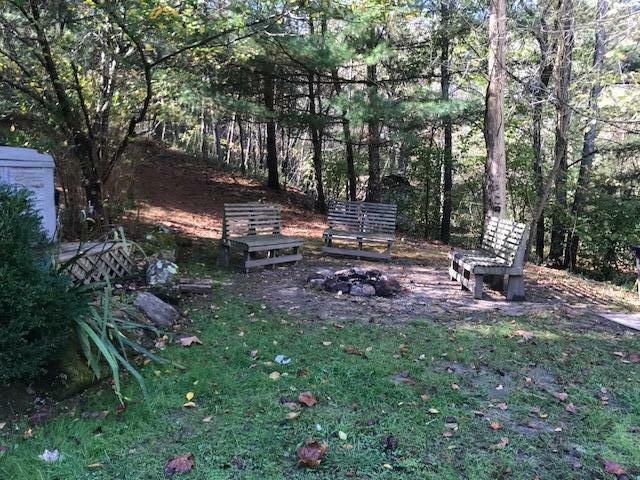 Outdoor entertainment area includes a fire pit, deck and walking trails leading to the rock outcroppings and year round creek. 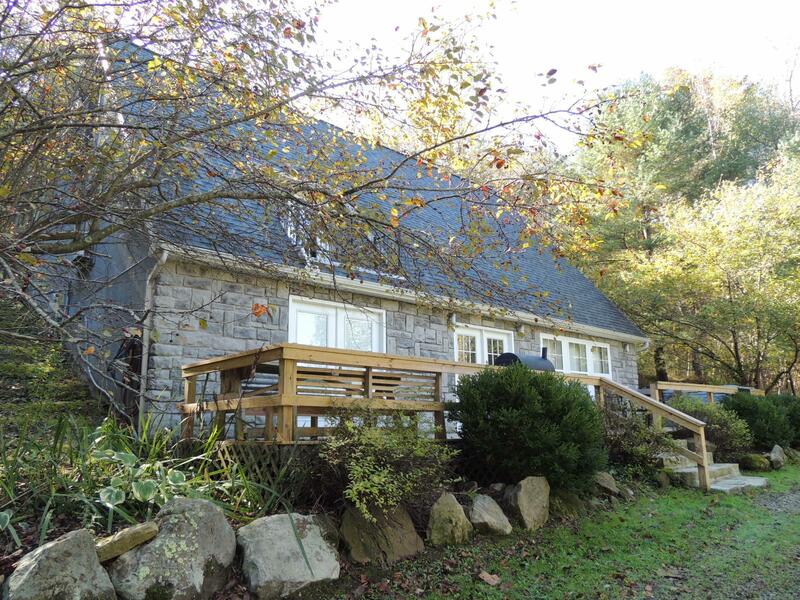 Cultured stone facade gives it a welcoming ''cottage'' feel. 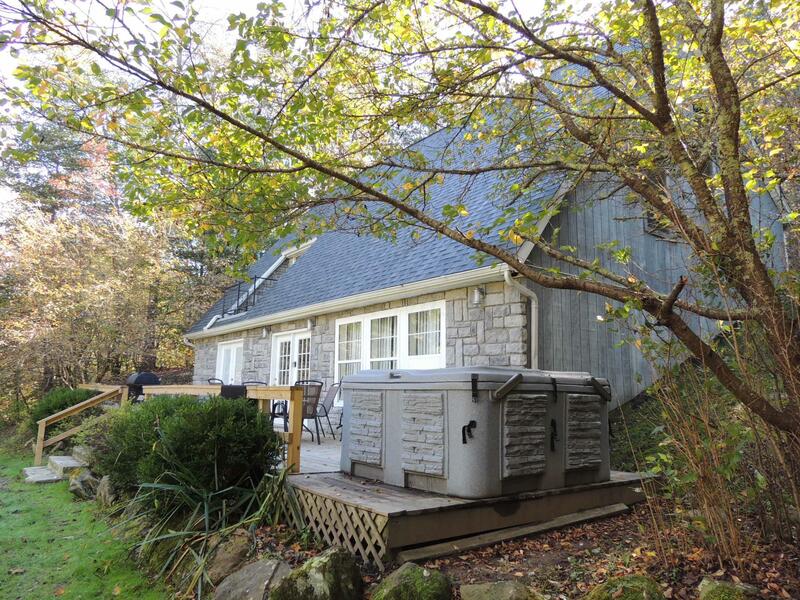 Currently used as vacation rental, income opportunities are yet to be maximized. 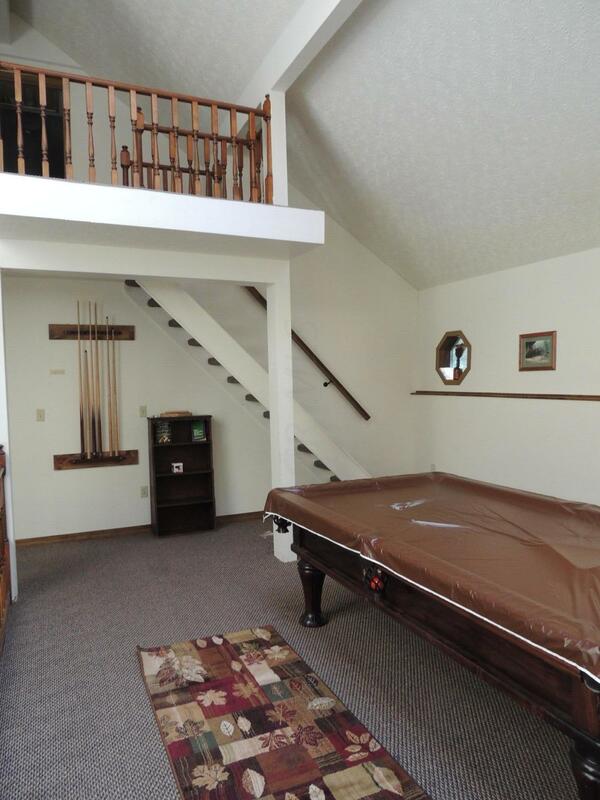 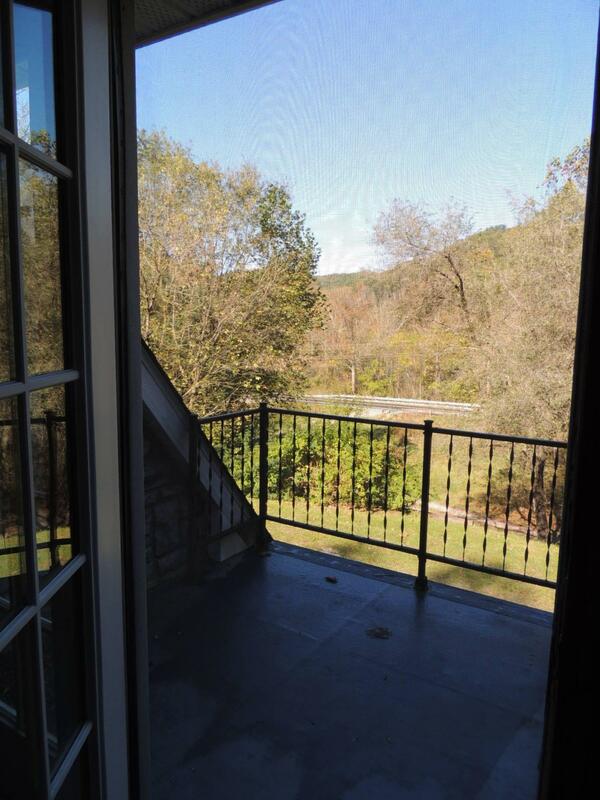 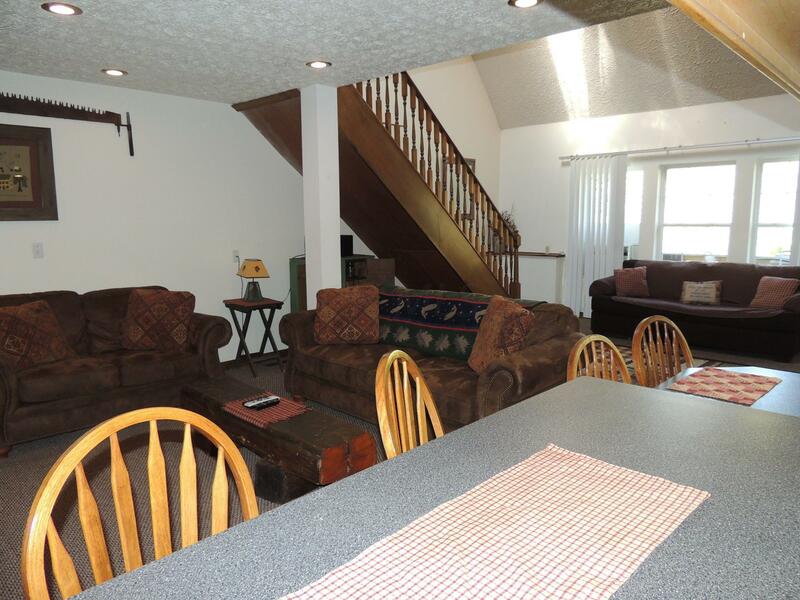 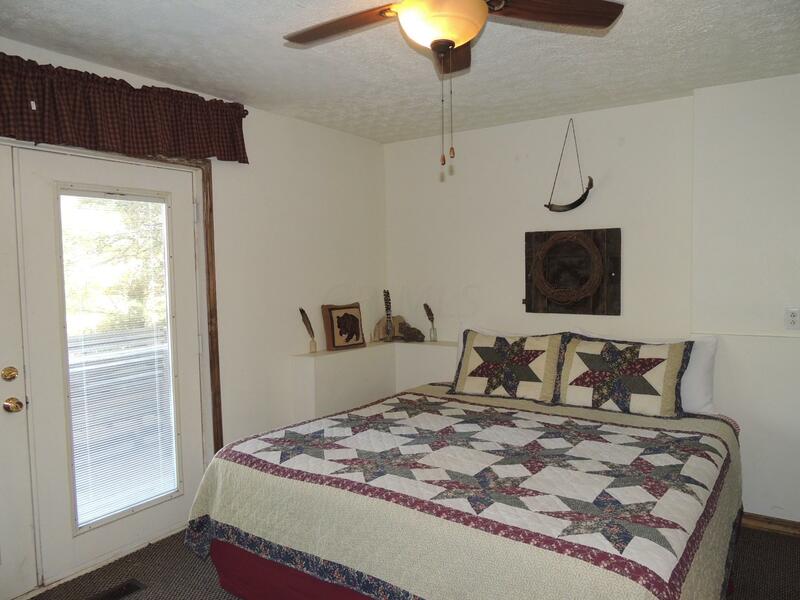 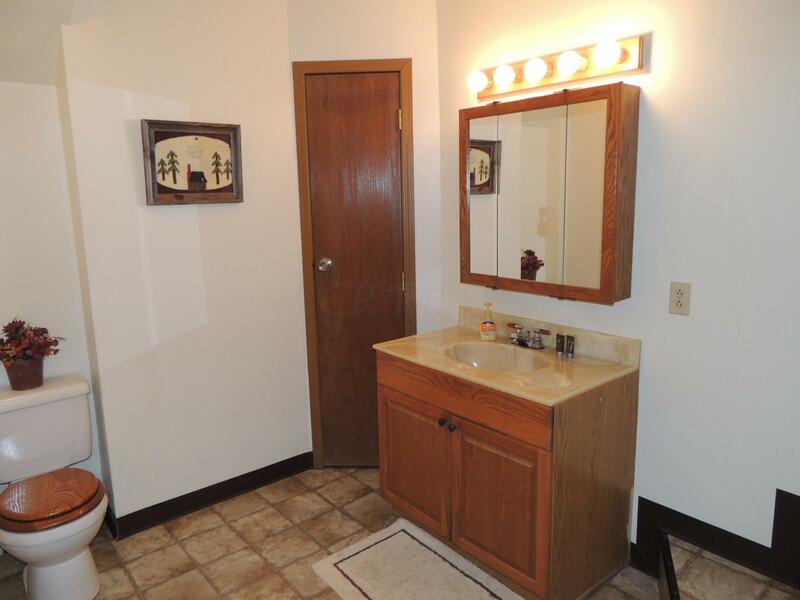 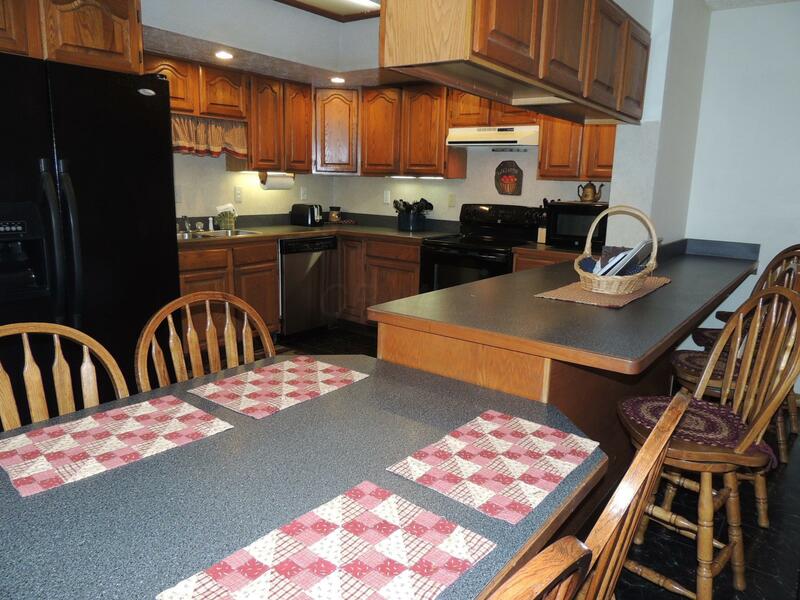 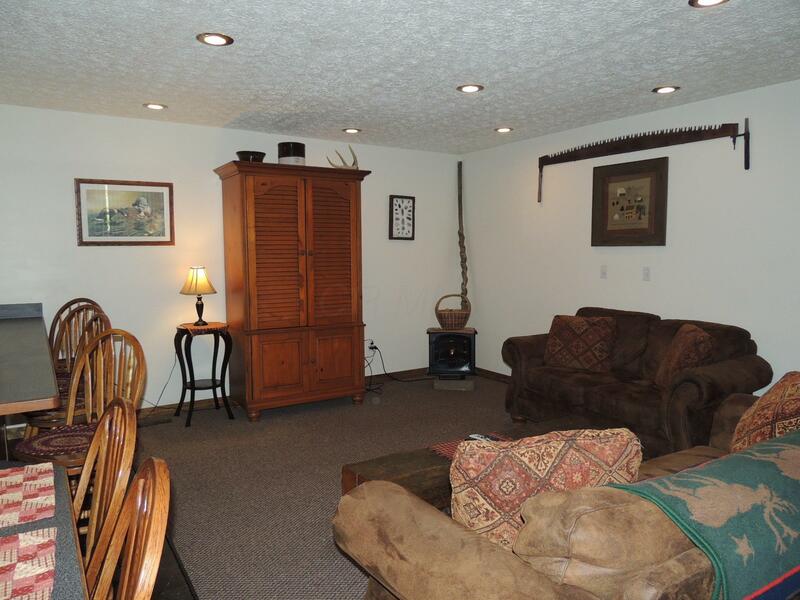 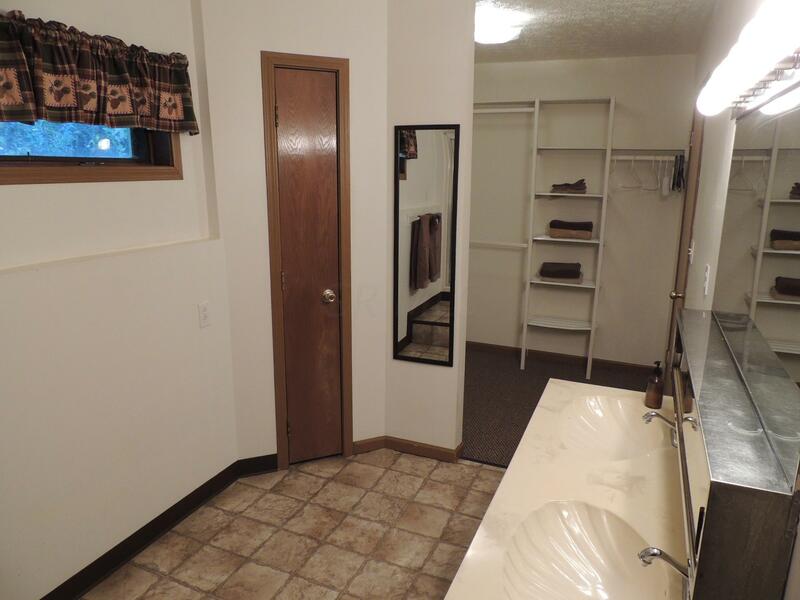 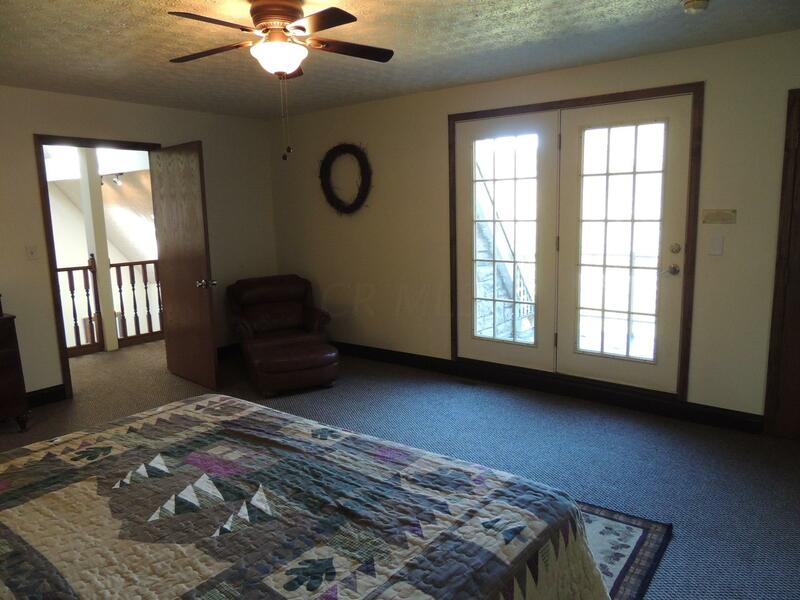 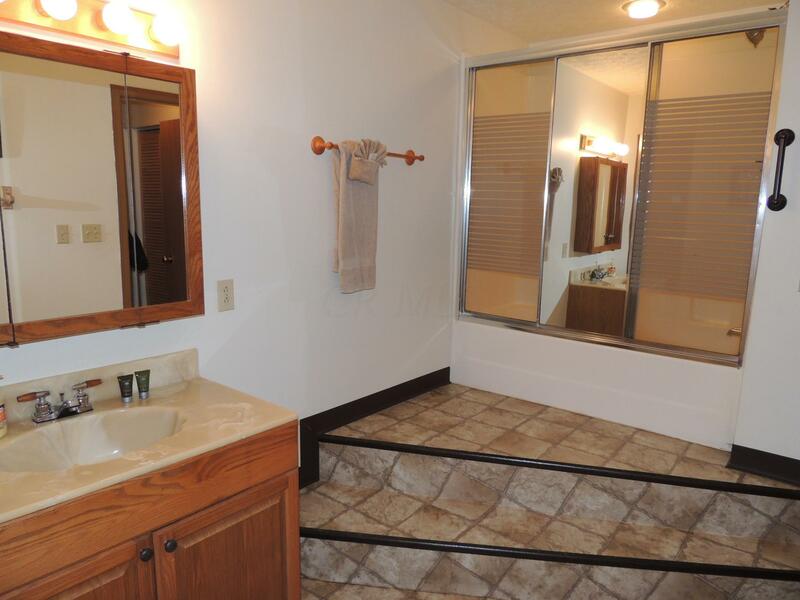 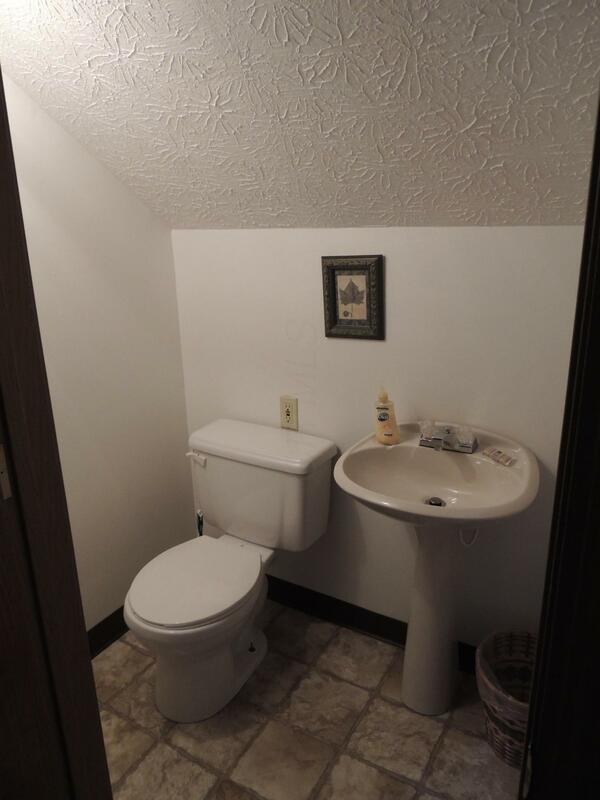 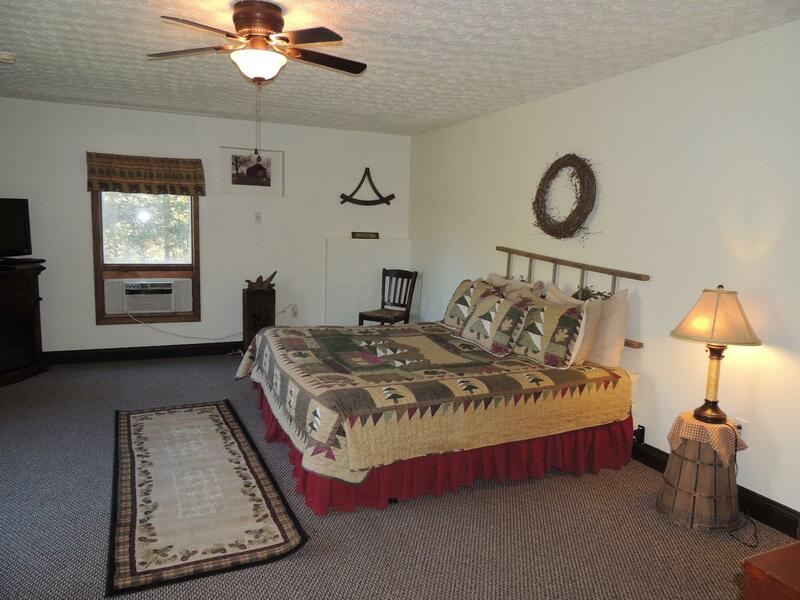 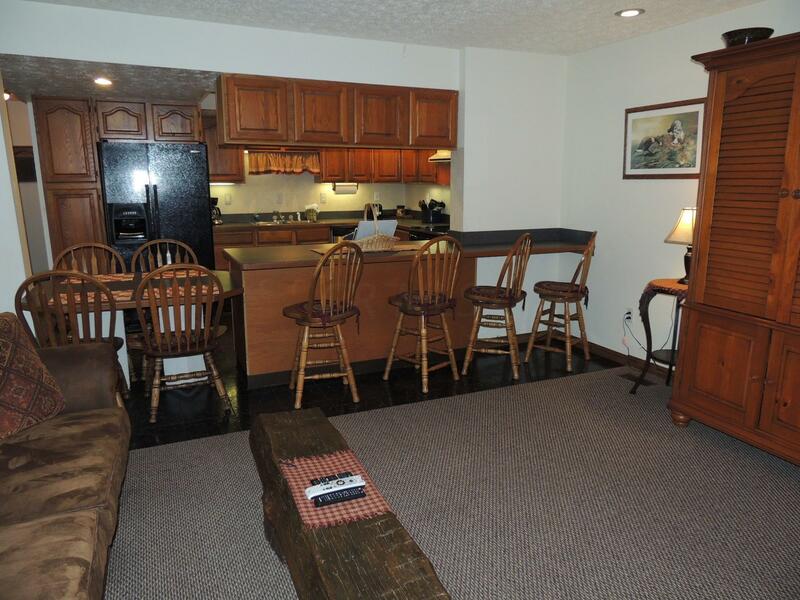 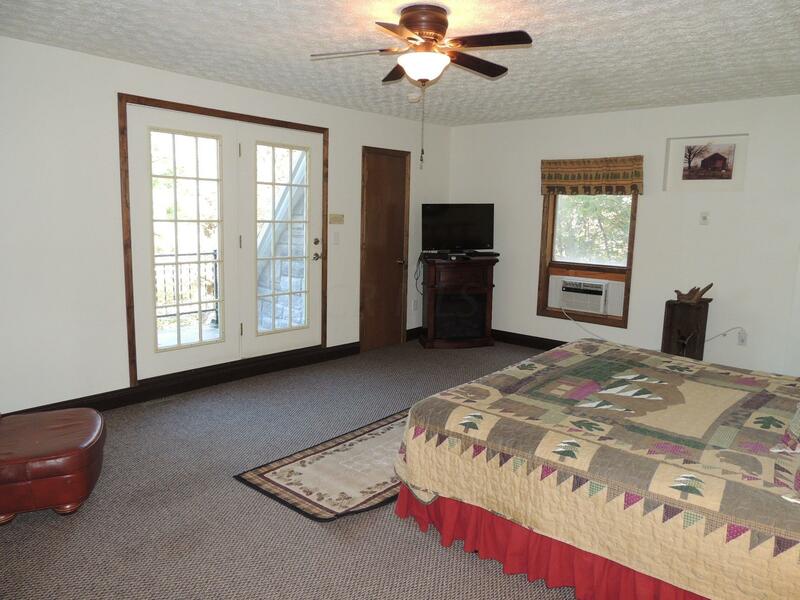 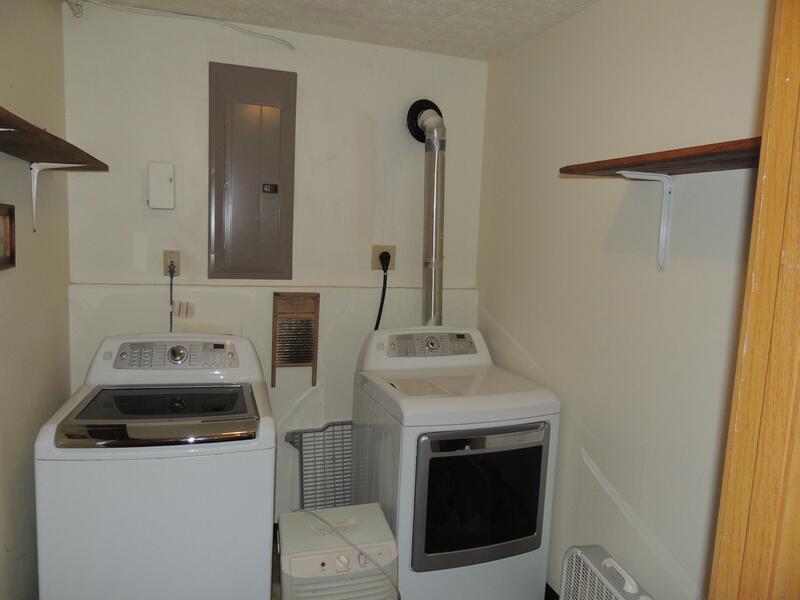 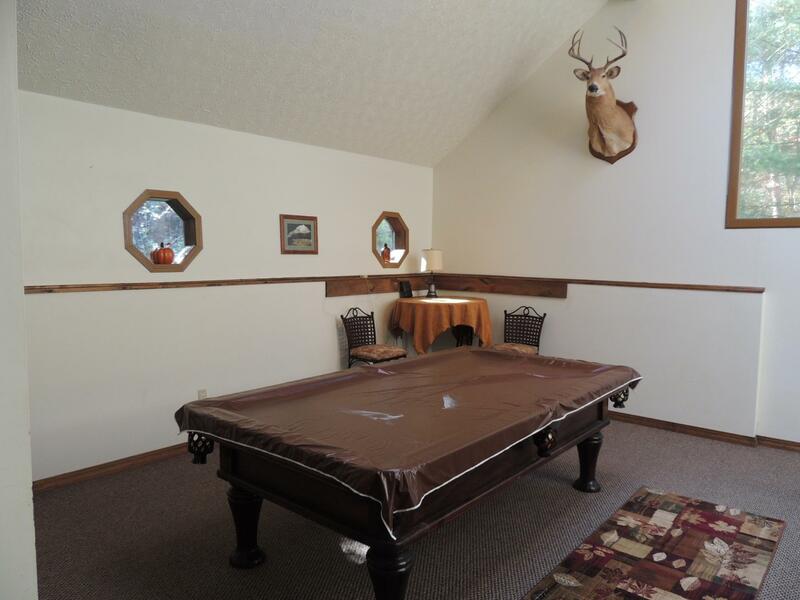 Vacation home furnishings and equipment including hot tub, pool table and W/D are available. 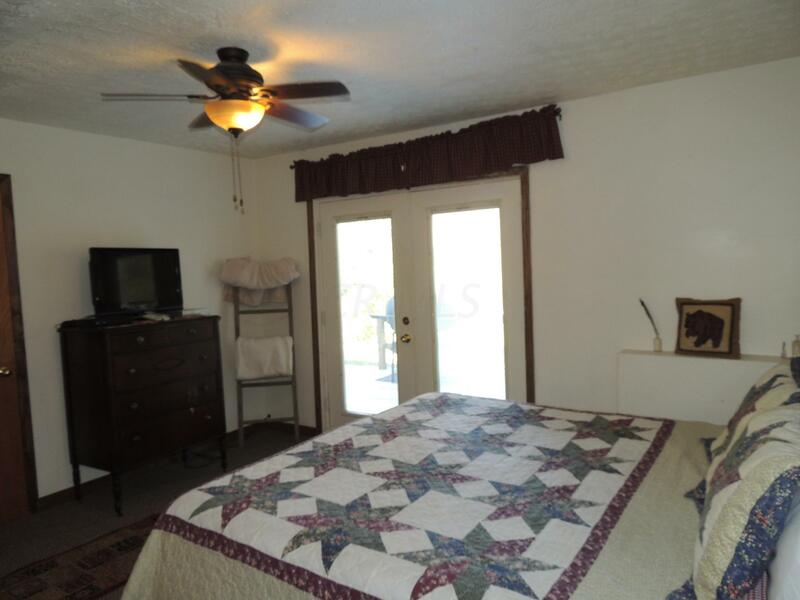 Financial information available to pre-qualified buyers.